Born and raised in Germany, Korean pianist Yumy Lee Kim made her debut with the Hamburger Sinfonietta at the age of 15 at the Laeiszhalle Hamburg. After winning the Steinway Competition, German Teachers Association and several other competitions, she appeared at various German TV and radio stations (NDR TV NDR Radio, Radio Hamburg). At the age of 16, she was accepted at the prestigious preparatory division of the Musikhochschule Luebeck, where she continued her musical studies. 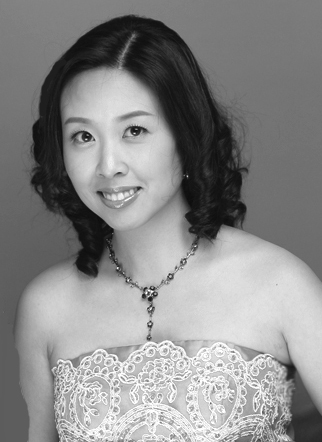 After receiving her diplomas in piano performance, piano education and her performance certificate, she finished her studies at Northwestern University with a Doctor of Music degree in Piano Performance as a scholarship recipient of the Dorothy L. Pound Award. Her teachers include Sylvia Wang, Konstanze Eickhorst and James Tocco. Dr. Kim performed as a soloist with the Hamburger Sinfonietta, Hildesheim Philharmonie and Ahrensburg Orchestra and performed in Germany, Spain, Hungary, Swiss, Denmark, South Korea and the U.S. Being a devoted and passionate educator as well, she currently serves as faculty member at DePaul University (CMD) and the Music Institute of Chicago. She chairs and adjudicates at Chicago area piano competitions and is a regularly invited clinician at student institutes in Chicago, Ohio and Wisconsin.